While sales of domestic wines remained relatively flat in February at $2.8 billion, a further look at the numbers showed relatively strong growth in $25-plus wines and shipments from wineries producing fewer than 1,000 cases per year. 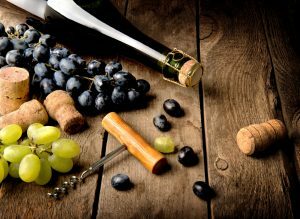 The wine sector as a whole showed steady sales of U.S. domestic table and sparkling wines as well as bulk imports. Sales in the past 12 months showed growth of 1 percent, increasing to $41 billion. U.S. wines dominated the market with domestic table wine sales 220 percent higher than those of packaged imports. The biggest gains were seen in the $25-plus category, or “premium” wine category, with data showing a 14 percent growth in February alone. While small in dollar value at just $210 million, the growth was significant. The next best growing sector was bottles priced between $15 and $24.99 with an increase of 10 percent. The largest wine sector is those bottles priced at $7.99 or less, this segment accounts for $2.9 billion annually and represents the largest share of the U.S. wine market at 40 percent of total sales.